Junior Anderson is a smart elementary school student with wit, imagination and a comically whimsical Christian family. Children will laugh and learn as Junior wages battle against his temper and an angry giant named Tude. 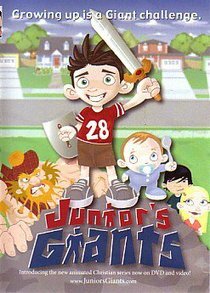 Together with the help of his best friend Niko, his parents, and the Word of God, Junior discovers that to defeat the evil Tude, he must learn to follow the Spirit. Join Junior, his family and friends in a hilarious journey through their not-so-ordianry daily lives.